Front-facing controls, paper loading and receipt dispensing. 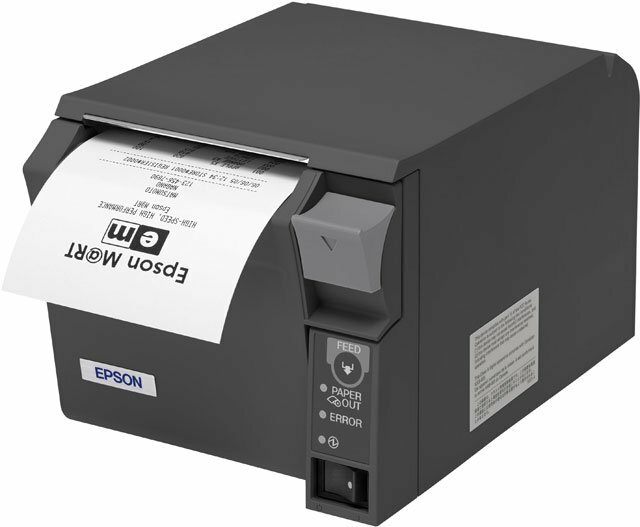 The innovative, space-saving Epson TM-T70 printer with easy all-front access is the only receipt printer available today that is designed to operate entirely from the front of the printer. This means you can put it under a counter or on a shelf and free up your valuable counter space. The TM-T70 prints receipts and graphics at the same fast print speed of 170 mm/second. And with its 180 dpi resolution you are assured of crisp, clear receipts and eye-catching logos. Barcodes are also supported, including 2D. Interface options are available for USB, serial, parallel, Ethernet and wireless. The Epson C31C637102 is also known as Epson POS Products	EPS-C31C637102	.